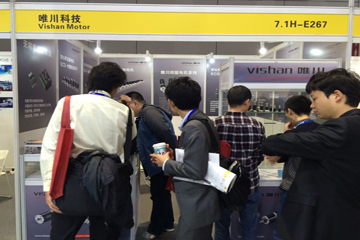 Vishan Joined the 19th China International Industry Fair on 07.11.2017 to 11.11. 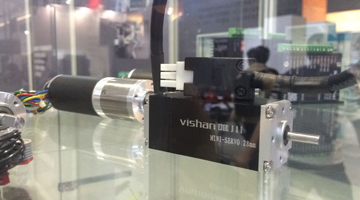 In this exhibition, we showed our new products which is integrated the Servo controller in to the mini servo motor, it should be three versions of them, φ28mm，φ32mm and φ36mm, with the very small but powerful servo controller integrated, the motor can be have smart function with small diensions, these are attractive by the customers. 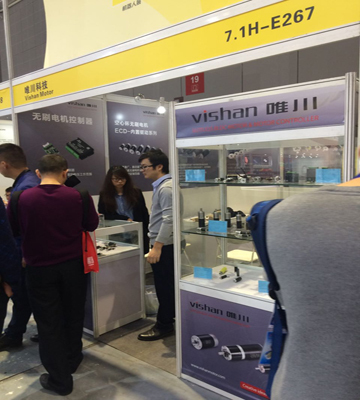 Thanks to the customers support and attention, during this fair, we have good chance to discuss with the customers face to face, this is very important to us.